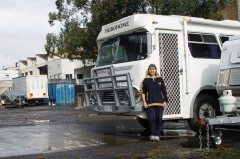 Eight years since we moved into the bus! It is very hard to believe, but is has been an amazing eight years. To be honest, I did not think we would make it to two years. 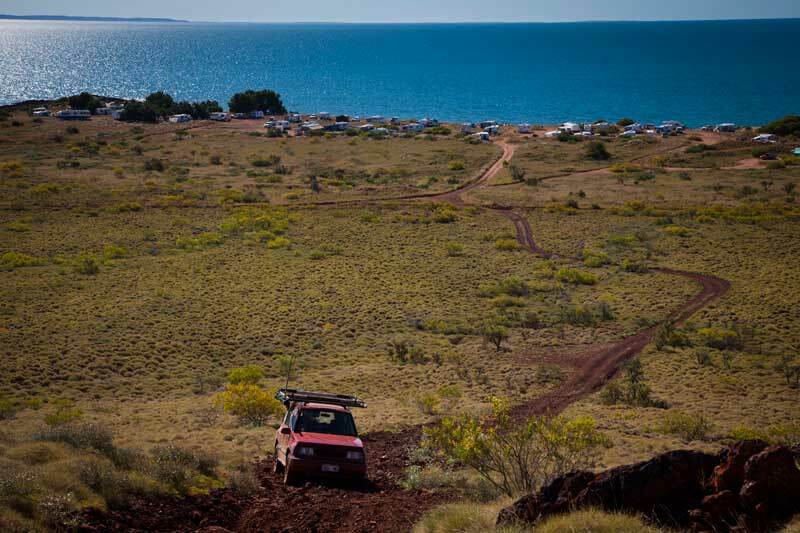 Before I tell you about our 4WD trip up the coast to Yardie Creek, let me reminisce about just a few of the highs and lows in the last eight years of motorhoming Australia. 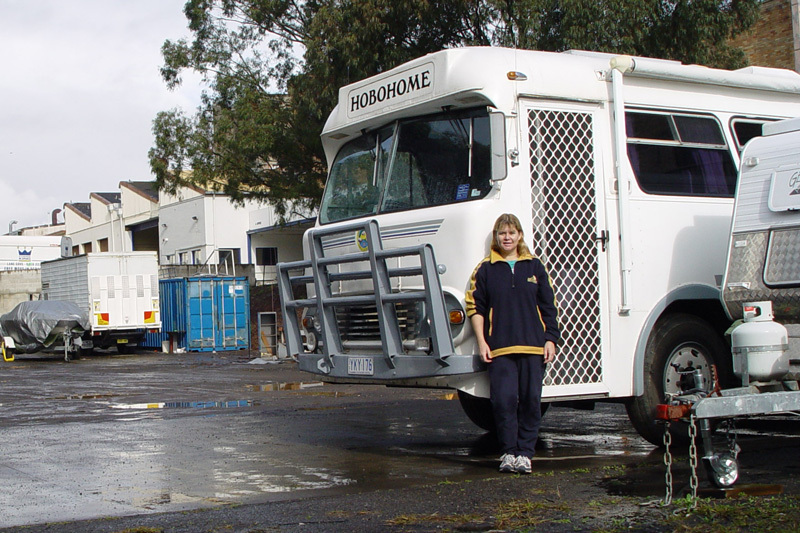 2003 - July 1st - We leave Sydney in the rain to start our new life travelling Australia in our motorhome. The bus was white at that stage ... and we were very green. We travelled quite quickly up to the Gold Coast. 2004 - January - We find our first real "on-the-road" job. 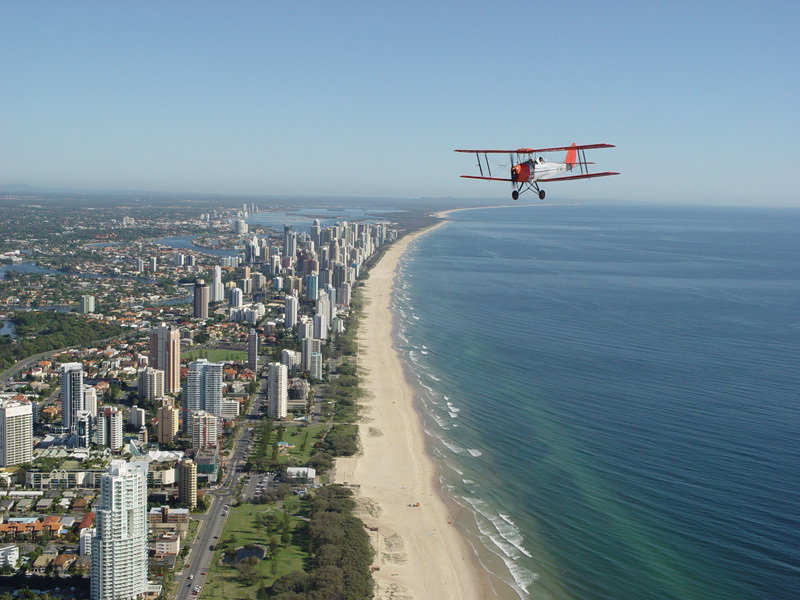 Working as photographers for a tiger moth joy ride company on the Gold Coast. We are able to park the bus at the airstrip and live there. It provides a place to park and an income. After a few months we head north, visit Fraser Island then onwards towards Cairns and the tropics. 2004 - August - I accept an offer to work in Melbourne for a couple of months. Technology consultant for OX Capital - the job was a great success ... the company was less successful (not my fault :-)! 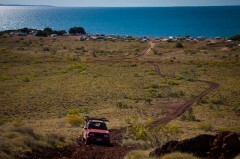 After returning to Cairns we head into outback north Queensland and across the Savannah Way. 2005 - February - After coming through Alice Springs and leaving more than $9,000 with the brake repair workshop, we visit "The Rock" then cross the Nulabour Plains for the first time and get to dive in the famous Cocklebiddy cave system. 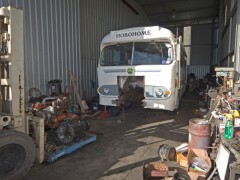 2005 - April - We buy a house in Perth and get a new engine fitted to the bus. We live in the house for 8 months while we pay for the engine ... then off again. 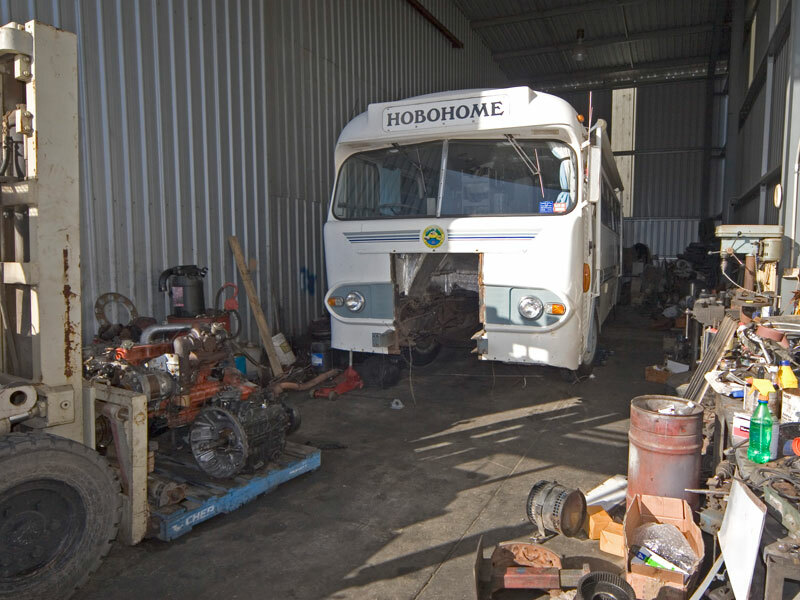 Hobohome gets a new engine. 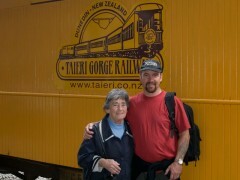 2006 - July - My mothers health deteriorates to the point where we make the decision to go back to NZ to look after her. 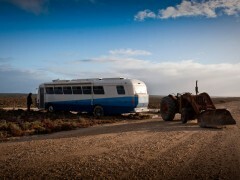 We are heart broken to be leaving the bus and Australia ... but determined to be back. We are in NZ for 9 months. We get the opportunity to walk the famous Milford Track - what a great experience. 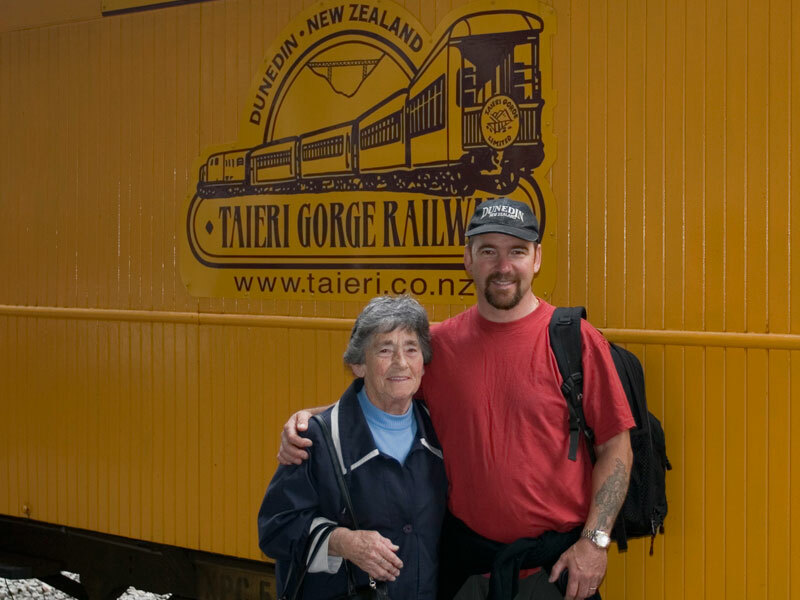 Mother and son in NZ. 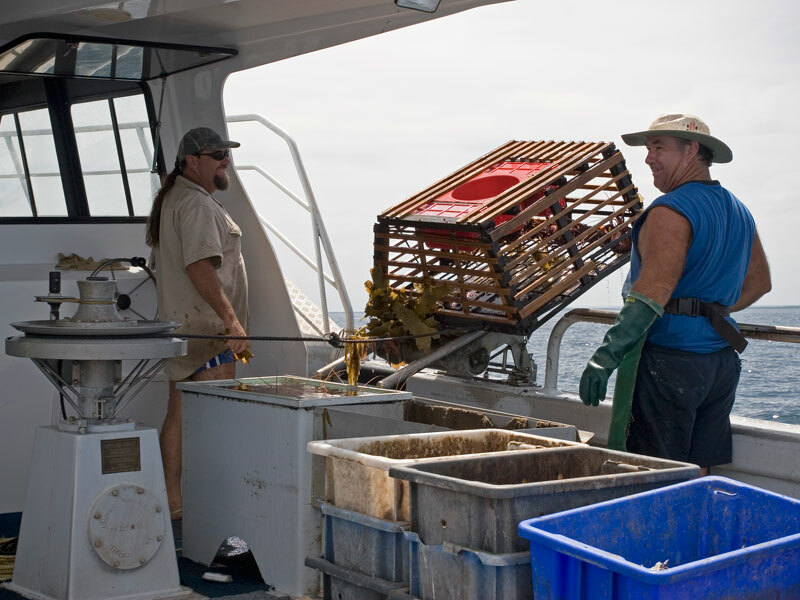 2007 - March - We meet Ian Hunter - crayfisherman from Cliff Head on the West Coast. We strike up a great friendship. We visit Cliff Head many times after that first meeting. We are still good friends. 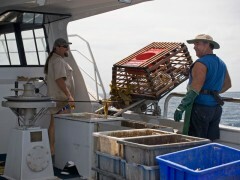 Ian and Pete onboard Trixie. 2008 - January - Having travelled the entire west coast then back to the east coast via the top end, we find ourselves way down south travelling the spectacular Great Ocean Road. But it is not long before the west coast is calling again. What is it about the west that just seems to keep us coming back? Before heading back we buy an 80 acre property in Queensland (Mt Perry) ... why? Well we really like the place and the property was amazing. 2009 - April - After fitting a second gearbox (low range) to the bus and giving her a new blue paint job, we are heading west again and getting stuck again along the way. This time we head off the beaten track a bit more. 2009 - September - This is our second visit to Karijini National Park. 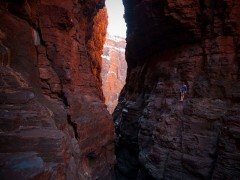 This time we really explore it and come to the conclusion that is is by far the best NP in all of Australia (so far). 2009 - November - This looks like the end of our travels, Tracey is diagnosed with a brain tumor. What do we do now? 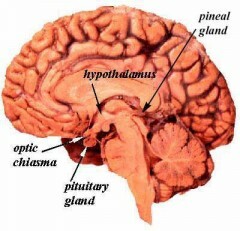 We decide to go back to NZ for her to undergo very risky operation to have the tumor removed. While the tumor is not completely removed, the operation is a great success. We are told that it will be a very long recovery and she will rely on drugs and perhaps radio therapy to control the illness. Just a few months later we are given the ok to return to Australia and the bus. 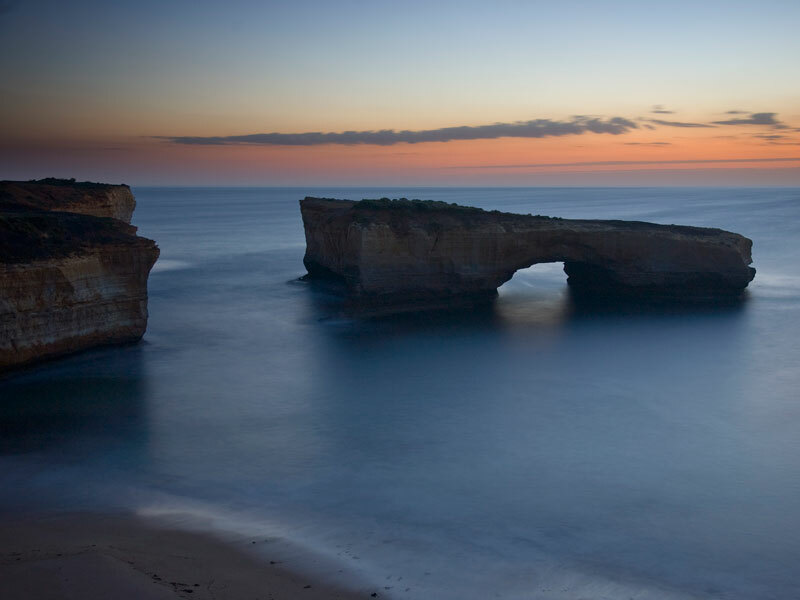 Tracey is under the care of a specialist in Perth. 2009 - May - After months of research and planning we start on our most adventurous plan yet ... a trip across the Great Victorian Desert on the Great Central Road. This turns out to be one of the highlights of our entire time on the road. It is an amazing trip and we enjoy every (rough) kilometer of the trip to Alice Springs - so much so we decide to do it all again and go back to WA the same way. 2010 - July - The Moke was great and don't worry, we still love it, but we needed more. A 4WD and a boat are added to the mix and the Moke is placed in storage. This is going to open up alot more of the country to us. So there you have it - eight years in a nutshell. Of course these are just a few memorable parts, there have been lots of special times. And ... we are not ready to stop yet. Enough of the past ... what have we been doing? We are still camped at 14 mile on Warroora Station. We did take a very interesting trip in the Vitara up the coastal road north of Coral Bay. This is not anything like a real road, its a track and a very rough track indeed. There are two stations north of Coral Bay, Cardabia Station and Ningaloo Station. North of this is a large defense area then the Cape Range National Park. We took the swag and camped the night on a deserted beach (it is nice to have a whole beach to ya self). We did not take the boat, but did some diving from the rocks and scored a good fish for dinner. The Vitara performed brilliantly again - I just can not believe how well it handles soft sand - I am not looking forward to the day we get really stuck in it - it will be a BIG job to dig out! We have a few minor maintenance jobs to do - so we will be heading for Karrartha sometime in the next few days. Solar production is at an all time low with high cloud for the last few days. We are having to run the generator for the first time for quite a while. 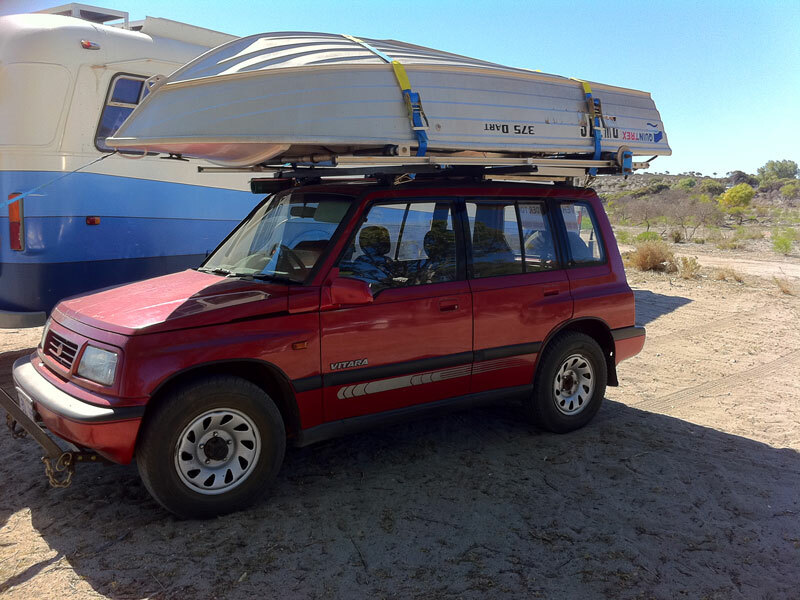 The trip up to Yardie Creek has exposed a construction error with the fitting of the boat rack on the Vitara and some serious re-work is going to be required when we get to Karratha. I used a seam on the roof as a mounting point thinking that most of the stresses would be the downward weight of the boat. I did not consider the upward pulling force that occurs when the vehicle is subject to bumps and corrugations. The rack is now slowly ripping the seam from the Vitara. I have designed some additional fixing points and some extra bracing to take care of this and will build and fit these in the next few days. It is just amazing what corrugations can do to a structure that is not designed and built to handle them. I know that about this time last year I claimed the title of "World Bedford Brakes Expert", and to be fair, the brakes have not been too bad since my last overhaul - but they have been getting slowly worse. The whole braking system is just poorly designed, the adjustment tolerances are ridiculously fine and even on her best day you would not want to stop suddenly in front of us. I would love to rip the entire braking system from the bus (and deliver it forcefully to the engineer that designed it?) and fit a full air system. I am just not sure that it is possible to retro-fit a more modern system to the old bus (any ideas?). The brakes really are our only real recurring issue, all other problems we have been able to fix ... and they stay fixed. For now, we will undertake another full overhaul ... new shoes all round and a full inspection/repair of the hydraulic system. Due to another wonderful Bedford design, we have to remove the rear axle just to get access to the rear brake shoes - not an easy task. 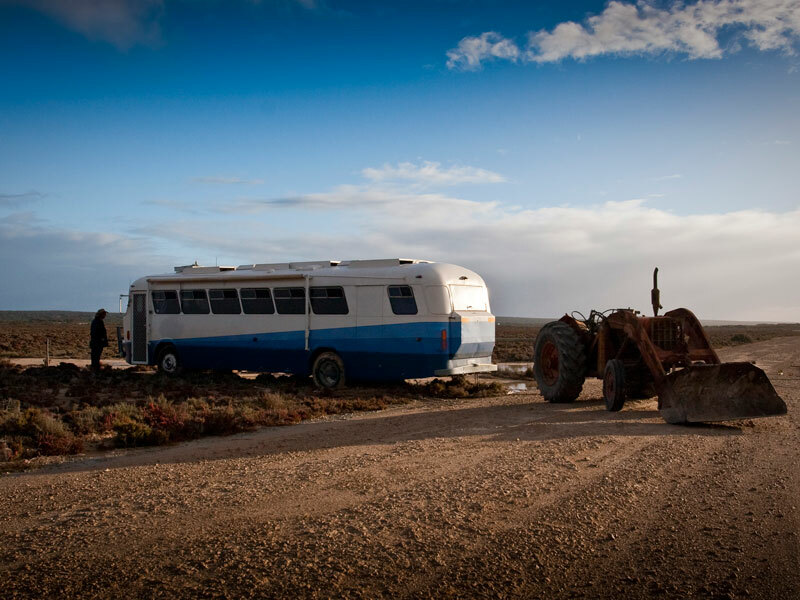 We will have to look for somewhere in Karratha where we can have the bus on axle stands for a day or two while we do this work. So our visit to Karratha tomorrow will not be as tourists - we will be busy with maintenance tasks. The brake linings have now been replaced and the bus stops fairly well (still not as good as I think it should - but not bad). We found some broken and worn parts in the spreaders and these were repaired by an engineer in Karratha. Cleaverville is just a few kilometers north of Karratha and is a very popular camping area. A lot of grey nomads leave their homes in the south of WA and seek refuge from the winter cold up here in the north west. There is quite a community here at this time of the year. The fishing is good and the camp fees reasonable ($45/week). 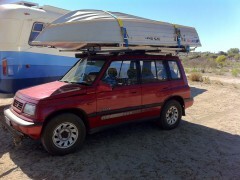 We noticed that the roof rack on the Vitara (that holds the boat) was starting to cause some damage to the roof. I have had the damage fixed and designed some additional brackets to spread the weight and provide additional strength. It didn't take long to build the brackets, but fitting them has been a real pain. We had extra steel welded to some panels to allow us to use them for bolting the brackets on. We had to remove most of the inside plastic panels from the Vitara to get access to the fixings. While fitting the left side bracket I managed to break the side window - damn. A phone call to the local auto-glass people shocked us with a $400 replacements quote. 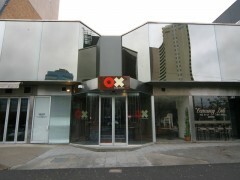 Not happy with that I called the Suzuki shop in Perth to ask about a second-hand window. They were just fantastic - $87 plus $16 for over-night freight to Karratha ... much better. I was very pleased with myself having saved almost $300 with one phone call. Karma had other ideas! On the way to the freight yard to pickup the glass we called into a hardware shop. When I left the car park I neglected to put on my seat-belt. This fact was not lost on the policemen who drove past us. So after the $500 fine (and 4 points on my license), the window glass now cost us $603. Thank you karma! The weather here has been amazing - clear sunny days and NO WIND. This can't be - we are in WA (Windy Always), The sea has been perfectly flat - how could we ask for more? Unfortunately Tracey has come down with the flu and is feeling more like cutting an arm off than getting in the water and diving. She has still been able to come out on the boat and be the boat person and I have been in the water - so I guess I can't complain. Hopefully she will start to feel better in the next few days. Tracey has recovered enough to be the boat person - she is still some way from getting back into the water. Very bad timing really coz I have finally figured out where the really big tuskfish hang out. The species known (up here) as the black spotted tuskfish is very closely related to the baldchin grouper (which is not a grouper at all). 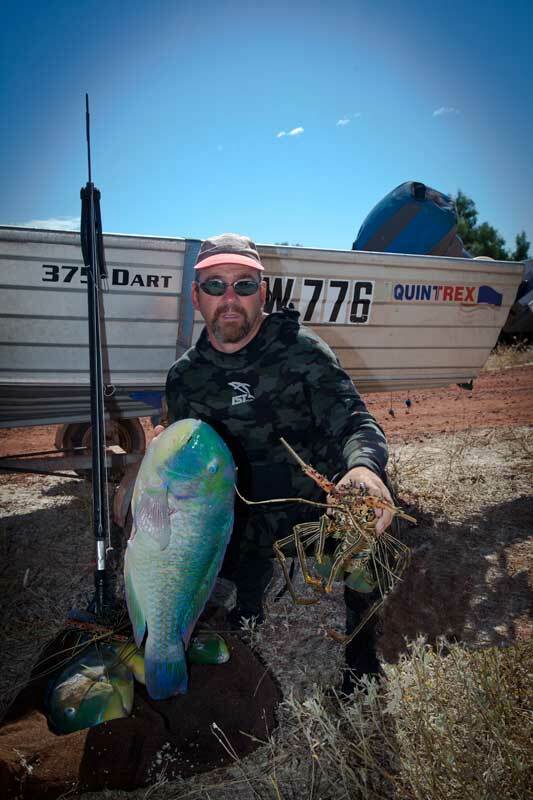 Every fisherman has their own opinion on the best eating fish - and mine is the baldchin grouper/tuskfish. Not an easy fish to hunt with a speargun, the larger adults are quick and shy. A couple of days ago we found (with the echo sounder) a fairly shallow area where the bottom is covered in large boulders and corals. As I poked my head into a hole under one of the boulders (to look for crayfish) a large tuskfish rudely barged past me to get into a hole that was clearly his home. This lead to a much closer investigation of the other boulders in the area and ultimately to the taking of some very nice fish. As this is one of the last places that we are able to get into the water (without the possibility of an up-close view of a crocodile smile) the fish will be a very welcome addition to our freezer. The water-heater in the bus has been misbehaving for a few months and it has finally died completely. It is a good quality Bosch brand that has served us well for over eight years and I am very inclined to replace it with the same brand. But at over $1,200 for a similar heater or $150 for a Chinese copy on ebay, I have to at least give the copy a go - I fear that this will prove to be an error. Time will tell. The shiny new Chinese water-heater will be waiting for us in Port Hedland.